Is it possible for a large piece of furniture to exude a sort of lighter-than-air quality? 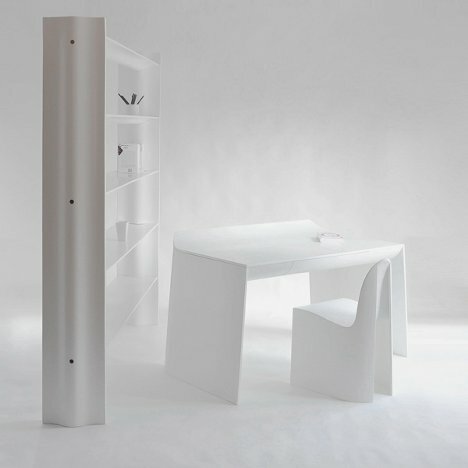 Designers Zsanett Benedek and Daniel Lakos wanted to find out, so they clad office furniture in a fresh white veneer. 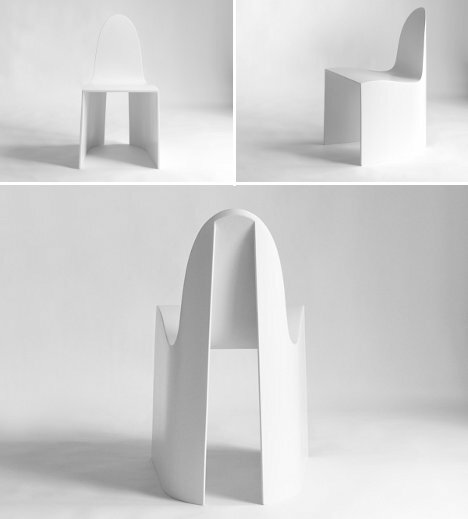 The furniture used was Lakos’ original designs known as the Alba Collection. The shapes were already smooth, sleek and yes, even dreamy. Dressing the furniture in bright white served to make it appear far more space-age and floaty. The effect is enhanced when the entire suite is placed in a room that is entirely white, head to foot. 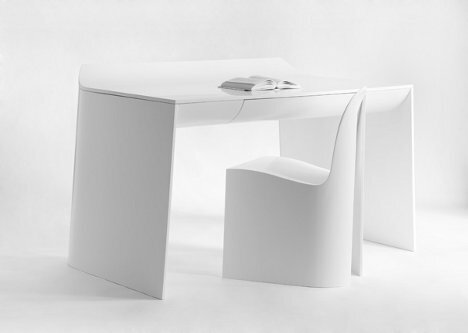 According to the designers, the suite of office furniture is a look that is downright heavenly. In an office otherwise decked out in white such as in these pictures, we would have to agree.